The NDP is proud to announce a new effort to elect candidates of color. We started a fund to help candidates get their start in elections across the state. Buy a shirt today and help elect candidates of color! State Senators Vargas and Wayne along with MCC President Roger Garcia approached Chair Jane Kleeb with an idea of a new fund to help candidates of color. Every year our state becomes more and more diverse and we want to make sure our elected officials look like the communities they represent. At the Morrison Exon 2017 dinner, during the inaugural “CowBell” funding call, we raised over $7,500 for the fund. 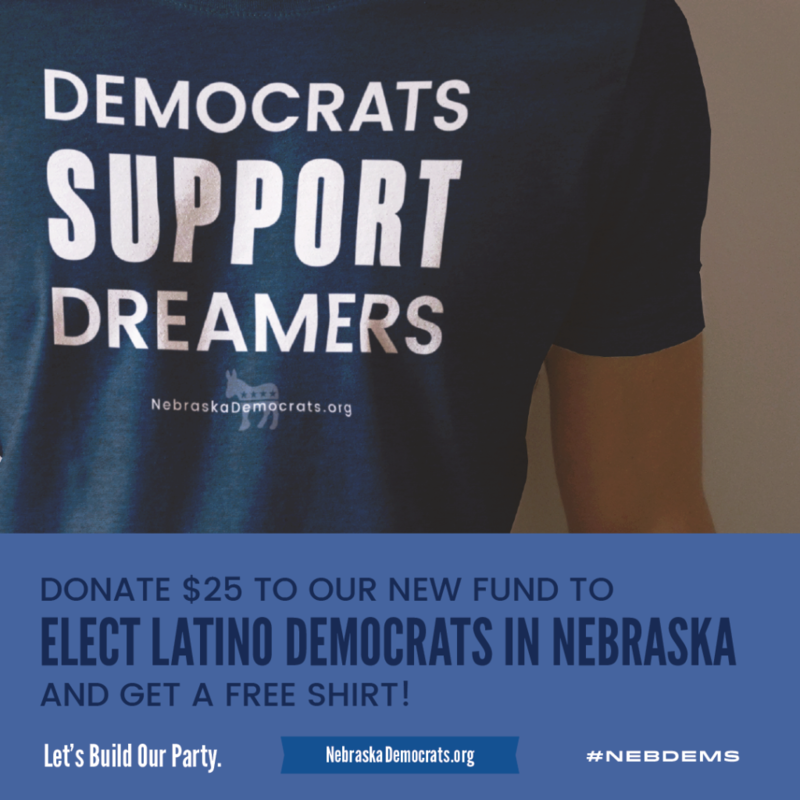 All proceeds from the “Democrats Support Dreamers” t-shirt sales will also go to the fund.